In 1982, when I worked for the newspapers in Greenville, SC, I not only labored in the newsroom — writing, editing and designing the pages of the daily papers — I also walked the streets of my neighborhood just a few hundred yards north of downtown on North Main Street, delivering the paper to readers’ front steps. As I carefully dropped the paper at my customers’ front doors, I remember being puzzled by the few neighbors — and there were only very few — who did not subscribe to either the morning or afternoon paper. I would drop off a sample copy with a handwritten note, asking if I could start delivering them a daily paper. I was usually successful in my sales effort, though there were a few intransigent ones. These days, I walk out my front door and grab three newspapers delivered at 6am to my front yard: the AJC, the Wall Street Journal and, on weekends, the New York Times. Each morning, I remember that I am participating in a dying ritual, and it saddens me. My days are numbered. As I watch our deliveryman drive down the street, I am amazed by how few — and there are only a very few — yards into which he tosses a paper or two. Sometimes I even feel responsible, as if I’m letting a 250-year-old American tradition die on my watch. It’s not for lack of trying. I worked at six different daily newspapers in the South (including my hometown AJC) before starting my own monthly newspaper group in Intown Atlanta in 1994. But each day I read of yet another daily newspaper closing its doors. In fact, at least 120 newspapers in the U.S. have shut down since January 2008, according to Paper Cuts, a Web site tracking the newspaper industry. More than 21,000 jobs at 67 newspapers have been eliminated in that time, according to the site. These stats hit dangerously close to home. My prediction is that my AJC won’t be delivered to my home on Mondays and Tuesdays by the end of this year. Their business model is that fragile. There are exceptions, thankfully. The Wall Street Journal showed a fraction of an increase in circulation last year. Locally, the weekly Atlanta Business Chronicleincreased its circulation last year by three percent — following other years of similar or larger gains. We maintain several subscriptions, to our office and our homes. The Chronicle started the month after I graduated from college and for more than 20 of its years, the team of Publisher Ed Baker and Editor David Allison has delivered a well-respected paper, tightly focused on Atlanta’s business community. In addition to their print edition, they deliver a daily 3pm news alert via email, make their print edition available online to wacky folks such as me who download it as early as 5am Fridays. In a sign of the times, the AJC’s well-respected business columnist Maria Saporta took a buyout from the daily paper and joined the ABC staff last year, where her years of institutional Atlanta knowledge will be a significant asset. Maria is not content to write for the ABC alone. 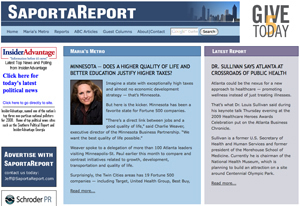 Schroder PR proudly designed and maintains her independent website, SaportaReport.com, which I predict will be one of the top 10 destinations to get local news and perspective in the coming decade of journalism’s evolution to the web. Our PR firm has evolved too. Nearly half of our revenue comes from writing and designing websites, producing videos, delivering eNewsletters for our clients and increasingly entering into the social media space. I already have a laptop and an iPhone. 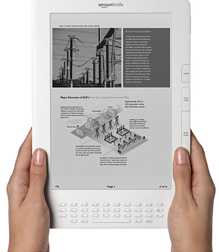 I imagine this summer, I’ll give in and buy the new Kindle DX, a hand-held digital reader with a nearly-10-inch screen to which you can download books and hundreds of newspapers. You may find me still sipping coffee on my front screen porch, reading the morning “paper” on my Kindle. I will be as well informed, but I won’t be as happy. For I will miss the sound of the morning papers hitting my sidewalk and the hours I now enjoy each day, turning their pages. I’ll miss the smell of newsprint and ink that has seeped deeply into my blood, on whose behalf I have sweated for decades and for which I will shed tears of sorrow to see them disappear. I walked around the Buckhead bar at one of the many trade group networking meetings I attend, this one with SMPS. I walked up to a group of one man and several women I didn’t know, but they were laughing, a good sign. As I shook hands with the man, I could feel my hand being nearly crushed. “Where did you learn to shake hands like that?” I asked him. “From squeezing cow teats in Mississippi,” he said to the delight of the women who knew him. “I was there,” he said. “I was there too,” he said. His name is Melvin Buchanan and that same weekend when I was a wide-eyed 21-year-old reporter for the Delta Democrat-Times in Greenville, Mississippi, Melvin was a wide-eyed 17-year-old just getting started in the civil rights movement. We agreed to have lunch soon. The morning Melvin was to come to my office, I went to the garage and opened up an old trunk full of junk I have saved – much to the chagrin of my family. It’s not just the trunk. I have many of the newspapers for which I wrote front page stories in boxes piled up to the rafters. One time I was having lunch with Ga. Court of Appeals Judge Jack Ruffin, about whom I had written one of my more interesting profiles as a reporter for the Augusta Chronicle when he was a controversial civil rights attorney there. I had made the same trek to the garage that morning and found a copy of the full-page spread. The judge was very pleased to see it 25 years later. I was telling my staff at our “huddle” that morning about Melvin coming to join me for lunch that day. I told them how I had met him and how he was there for the Ku Klux Klan march and how he was coming in to our office in a few minutes and that I would introduce him. I noticed Devin, our employee who happens to be African-American, getting nervous. Her eyebrows went up and she looked across the table at her office-mate, Amber. I realized I had left out one important detail: Melvin was black and he was marching against the Klan. Everyone broke out in nervous laughter. I surprised Melvin when he walked in, pulling out the August 1978 copy of the DDT, with my Klan photograph on the front page and a full-page photo essay just inside. He looked over the photos of all the people in the crowd, naming one after another. I was hoping he would find himself published there, but he wasn’t. I’ll have to return to the garage … I have my roll of negatives from that weekend … somewhere. Melvin will find a new job soon. People have always told him he should be in the PR business, since he knows and remembers so many names and faces. I told him I’d be happy to help get him started if he ever did want to hang out his own shingle. He would be fabulous at it. Had I not walked up to Melvin that evening in Buckhead and shook his hand, we’d never have made the connection. Had I not dropped by my new newspaper office that Friday afternoon in August 1978, three days before I was to report to duty on the following Monday, I would never have been invited to go on the weekend trip to Okolona. It all re-confirms my notion that if you talk to anyone long enough, you’ll find a connection you never dreamed you have. Turns out that first weekend in Mississippi was a highlight of my time down there. I was so pumped as we drove back through the Delta that hot Sunday morning, back toward the Mississippi River town of Greenville, to what I was then to call home for more than a year. If that was my first weekend, I thought, think what the rest of the time would be like. Well, it was never quite as exciting. I covered police and courts and chased fire engines and car wrecks and followed murder trials and attended Rotary clubs and school board meetings, but they all paled in comparison to that first Saturday on the job. That day in Okolona was fascinating. Lines of local African-American residents marching down one side of the main street of town, paralleled by a line of Ku Klux Klansmen marching the opposite direction on the other side of the street. TV crews in the midst, Geraldo’s helicopter hovering above, carloads and truckloads of locals shouting to either side. The DDT photographer, Larry Looper, and I stood by the pay phone near the end of Okolona’s Main Street, while reporter David Saltz called in his story to the Associated Press. Larry and I looked over our rolls of film (back then we had to wait to develop them in the darkroom back at the newsroom). As the afternoon grew into evening and as David finished his dictation, we watched as the entire downtown – which an hour before had been bedlam and high drama – was emptied out of the last car and truck. A lone, white, skinny teenager, perhaps 14 years old, leaned up against the telephone poll across the street and watched the last car pull away. He looked us over and slowly walked toward us. We stood in the still blazing Mississippi sun as he stopped right in front of us. “Y’all got a reefer?” he asked. All that tension from the afternoon drained out of the three of us. We laughed for a long time. “No,” Larry said. “We don’t.” The kid wandered away again. Seven years ago this month my friend Bo Jackson asked me to lunch out of the blue. Well, it was sort of out of the blue. I had actually left him voicemail six months before. The key thing is he actually remembered that he owed me a call. “And,” he said. “I’m buying lunch. Bo, a commercial real estate developer, spent the next 20 minutes talking passionately about a vision he had for the changing workplace. He talked about the coming retirement of the Baby Boomers, about the new generation of employees who were forcing technological and cultural changes in the workforce. He wanted to be on the forefront of the change. “What are you going to do now that you left newspapers?” he asked. “I’m looking for a PR guy,” Bo said. And thus, Schroder PR was born. Today, seven years later, Bo is still passionate about what we now call the High Performance Workplace. And he’s still my client. You know what they say – “you never forget your first.” Thanks Bo. And thanks to the many other clients who have followed since. We’ve now grown to nine full-time employees and five contractors. Next time Bo and I have lunch, it’s on me. I am blessed with a large family, with dozens of cousins all over Atlanta. One I try to keep in regular contact with is my cousin Bo Spalding, who is just two years older. We had breakfast this morning to catch up on our respective families and firms. Bo is a prince of man, with a dry wit and keen insight into media and PR. He comes by his intellect and charm naturally, being the fourth in a line of three gentlemen before him, each of whom was a managing partner of the law firm, King & Spalding. (We share the same great-grandfather, who co-founded the law firm in 1885.) We went to Georgetown Prep together for a year or two together. 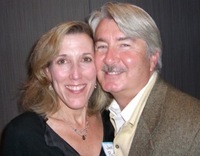 Six years ago, when I left the newspaper business, Bo asked me to lunch at Colony Square in Atlanta, where his and Glen Jackson’s firm, Jackson Spalding, was then located. I had just sold my newspaper business to my business partner, Tom Cousins, and I was trying to figure out what to do “when I grew up.” Bo asked what plans I had. “Public Relations,” I said. “I never thought about that.” My only contact with PR firms had been on the receiving end of numerous phone calls to my newspapers from young members at larger firms, asking me if we “had received the press release” they had faxed us recently. That’s one of those calls that editors do not enjoy (more about that some other time). And thus began my transition to PR. I spent a year working freelance for other firms and, after a four-month stint as general manager for one small firm, I thought I had gathered enough experience to start taking on my own clients. So next month marks the fifth anniversary of my firm, Schroder Public Relations, and I suppose I owe it all to Bo. While I had worked for newspapers in a number of jobs, from reporter to editor to marketing and in-house PR, I had never worked inside a firm. Bo was right, it is a great business. I enjoy the creativity, the writing, but mostly I enjoy being a business partner to our clients and a counselor on a whole range of issues, from media relations to communication to an Internet strategy. And the business model is a lot more successful these days than newspapers, I’m sad to say. I love newspapers, read numerous ones each day and I sometimes miss being on the planning end of a great issue, so it’s hard to watch the shrinking of that industry. But I can work in PR for years to come, even past the normal retirement age, should I – and my clients – so choose. And, I hope, to continue to enjoy occasional breakfasts and lunches from my cousin and mentor, Bo. A few weeks back, when I read the email from the Atlanta Press Club that John Huey, editor-in-chief of Time, Inc., was coming to speak today, I immediately signed up for three tickets. Not just because John oversees 140 different magazines and has one of the most interesting media jobs in the world, but because he grew up on East Wesley Road next door to Tom Murphy. Tom is an old friend whose family I knew back in the old elementary school days at Christ the King. 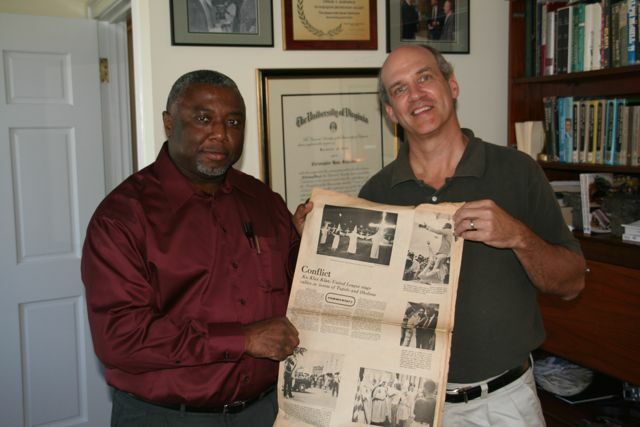 Many years later, when I started a neighborhood newspaper called Atlanta 30306 in the Virginia-Highland neighborhood (later renamed Atlanta Intown), Tom was one of the first people I visited to try to convince to advertise in the start-up. He did, for many years. In the process, we renewed our friendship and became best buddies. 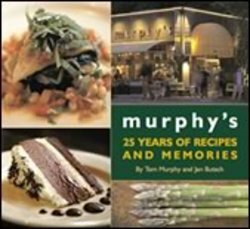 So thus began the long journey of Tom and my former editor and later bride, Jan Butsch Schroder, of compiling the book now known as Murphy’s, 25 Years of Recipes and Memories. The book published to great acclaim and a large, front-page story on the front of the AJC Living section. It is full of great recipes, photos and, most of all, stories … stories about being embezzled, robbed, about having to fire his wife after she threw a wet towel at him when a patron kissed Tom on the cheek, about the many great chefs who got their start at Murphy’s. Tom, like Jan, is a private person, whose nature is not to step in the spotlight. And he hates public speaking. Once, when he had to introduce Hank Payne, president of Woodward Academy, Tom was too intimidated by the thought of standing in front of fellow classmates at Leadership Midtown and introducing the former college president. So when I suggested producing a video instead, Tom jumped at the chance. As a child, Tom also had the distinction of growing up next door to John Huey in Garden Hills in Atlanta. As Tom tells the story, John grew up in a nice Southern Baptist household, but next door were the wild and crazy New York/Irish Catholic Murphys, with five children. Not only that, Tom’s parents also housed unwed mothers and, later, when Castro took over Cuba, dozens of Cuban refugee families. People were coming and going at all hours of the night at the Murphy household. John would look out his window and just shake his head at all the activity. One thing Jan tried to secure was a photo of John. But she couldn’t find one on the Internet and his assistant said, “There are no photos of John.” So we published the book without one, one of many loose ends we were never able to tie up before printing. So, two years later, when I saw John was to speak to the press club, I bought tickets to the luncheon and VIP reception for me, Jan and Tom. When the big day arrived, today, we drove down to the Commerce Club and took the elevator to the 18th floor reception. I brought along a copy of the book. We had sent one to John’s office, but we were always unsure if he ever received it. When he recognized “Tommy” and shook his hand and started telling old stories, we asked if he had ever seen his quote in the book. He said he didn’t. I said we weren’t able to get his photo to publish and John said in his dry humor, “No, there are no photos of me.” So we showed the book to him, gave him the autographed copy and walked away. I then saw Spark St. Jude, a photographer snapping away at the reception, so I went over and asked her to shoot a photo of the two boyhood neighbors, holding the book. She was able to take one or two, when an alarm went off. The fire alarms went off in the Commerce Club, so we all had to walk down 18 flights of old dirty stairs to the street. A crowd of people stood on Broad Street downtown until the firemen came and inspected each floor. We were finally later able to get back to the 16th floor for the luncheon and the speech by John Huey, which was hilarious. “Normally that fire drill trick works so I don’t have to give a speech,” John dead-panned. “In New York, if people walk down that many flights of stairs, they just go on back to work and the speech never happens. It didn’t work here. “When the Atlanta Press Club invited me to speak, I said ‘no.’ (pause) I still feel that way,” he said to great laughter. 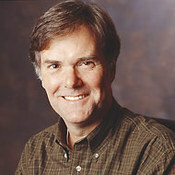 He went on to tell many great stories of growing up in Atlanta, working for The Atlanta Constitution, and working with Alexis Scott, now publisher of the Atlanta Daily World. John claimed he had been duped into giving the speech after turning it down, when Alexis called to ask him to give a toast at the 10th anniversary of her being named publisher. Next thing he knew, he said, he was being promoted as giving the press club speech. So he proceeded to give Alexis her well-deserved toast, as well as talk about other aspects of journalism and Atlanta today. And there, many years later, I felt my prediction had been reinforced in spades, that Tom’s book would help brand him and his restaurant. For here Tom was being endorsed from the podium to a sell-out crowd at the Atlanta Press Club by the editor-in-chief of Time, Inc. This morning my staff attended the first annual Atlanta Public Relations Interfaith Breakfast at Twelve at Atlantic Station. Organized by a committee of several PR firms, the vision for the breakfast came from Glen Jackson, a partner in Jackson Spalding, one of the largest independent firms in town. Glen’s partner is my third cousin, Bo Spalding. Atlanta has a number of annual interfaith breakfasts and the tradition goes back decades to our city’s legacy as a beacon of civility during the turmoil of the Civil Rights struggle in the 1960s. One of the most successful of these is the Atlanta Rotary Club’s Prayer Breakfast, which I attended for the second year in a row this year. The speakers are always inspirational, but I especially look forward to the dramatic presentation by Tom Key of the Theatrical Outfit, one of the great treasures of this city. Glen happened to chair this year’s Rotary breakfast and I congratulated him afterwards. He told me about the planned PR breakfast, so I quickly bought a table. Another successful industry prayer breakfast is the Real Estate Prayer Breakfast, which we also support with the purchase of a table. This one was originally started in honor of the life of Mark Christopher, an amazing man of faith who battled cancer in 1996 and whose optimism and daily recorded inspirational messages of hope through the last months of his life touched many lives. He was scheduled to speak at the first RE prayer breakfast in May 1998, but he died that month. I knew Mark from my Friday Morning Men’s Fellowship and we visited him in the hospital once. We all went to support him, but he, instead, supported those of us crowded in his room. This year’s PR Prayer Breakfast was highlighted by wonderful music by Third Day, several members of which flew the red eye from LA to participate. The most touching moment, though, was when Brenda Wood, a local TV anchor for 11 Alive, gave a very transparent testimony of the value of faith and prayer in her life. 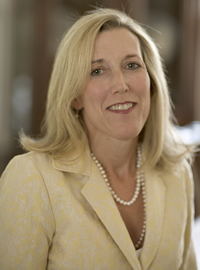 Interviewed by Beth Bragg of the DeMoss Group, she had the sold-out room riveted silently listening to her having been “broken” several times and how God and her faith saved her. Her facial expressions and body language were amazingly mesmerizing, as much as actress of stage or screen. Yet she’s a TV anchor here in Atlanta, and a great one – and a jewel of a role model of faith for the rest of us. In addition to my staff, I invited Jae Stephenson of Resource Real Estate Marketing, and Sharon Goldmacher of Communications 21, who have recently referred business and offered advice to our five-year-old firm. Jennifer Sheran, our general manager, my wife Jan and I were excited to invite our staff to the table. For many of our young team members, this event broke the ice of discussing faith at work. It’s always a delicate balance, knowing when to profess your faith and when to run a “strictly professional” firm. Thanks to Glen and the organizing committee for this and other breakfasts in Atlanta, who have set the table for those discussions to continue into the day, well after the warmth of the breakfasts have begun to wane. 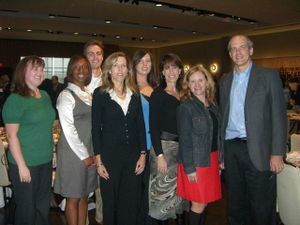 Photo of our staff at the PR Interfaith Prayer Breakfast, from left: Evelyn Anne Johnston, Devin Releford, Reid Childers, Jan Butsch Schroder, Mary Martin, Lila Campbell, Jennifer Sheran and me, Chris Schroder. Mark Twain coined the original phrase, I named this blog after it, but the first time I heard the words, “Ink By the Barrel,” I had just finished a plate of warmed-over baked chicken, mashed potatoes and green peas at the Kiwanis Club of Augusta, Georgia. The Kiwanians loved it and we in the media squirmed. J.B. seemed like a nice guy, but I certainly never wanted to pick a fight with him. Well, as it turns out, he had good reason to keep reporters at arms’ length. A few years later, he was charged with taking bribes to fix warrants for driving under the influence of alcohol. He eventually pleaded guilty to two federal charges of obstructing justiice for firing a secretary and threatening to kill a deputy – both of whom were cooperating with federal agents. The sheriff was sentenced to four years in prison. So here it is, the start of my blog, named after what I would have named my book. I knew the minute J.B. Dykes said those words that “Ink By the Barrel” would be the name of my memoir. I’m not sure my life has been that interesting to write a memoir – at least not one people would pay to read. But it certainly rates the name of my blog – and it’s free to you and your friends. All of my columns from my seven years of publishing neighborhood newspapers are housed here for your – and Hamp’s and all the other fine folks’ who have encouraged me through the years – enjoyment. Today, the phrase still applies … I don’t print a newspaper, buying ink by the barrel to print on newsprint, but my professional team tries each day to get my clients all the “ink” they can. Today begins my new path of writing – not a book, not a newspaper, not a press release, but a blog. Enjoy, visit often and post your own comments. Thanks to J.B. Dykes (Sheriff, wherever you are, I hope you’re well) and Mark Twain, too, for the title. Thanks for reading. Stay in touch. Photo: My lovely bride, Jan Butsch Schroder, a published author in her own right, who inspired me to re-publish my columns and start my blog.